The Nordica Enforcer 100 is back again this season with a new graphic. The shape and construction of the Enforcer 100 remains unchanged. This highly coveted ski is an excellent option for the advanced to expert skier looking to have a one-ski-does-it-all ride. The Energy 2 Titanium Construction is the same that Nordica uses on their World Cup Race Skis. A Poplar Beech Core is sandwiched between two 0.4mm thick sheets of Titanal to give you power, stability and some serious crud-busting ability. The Enforcer's Blunt Nose Tip Shape is designed to give you floatation when it's a powder day, smooth turn initiation on a firm groomer day and deflect negative vibrations when the snow is chunky. The All-Mountain camRock Profile simply makes your skiing easier in any condition. If you have heard all the buzz surrounding the Enforcer 100 from magazines, testers and all types of skiers, it's time for you to find out why this is the ski for you. 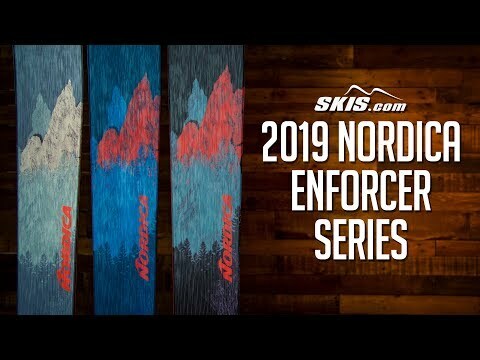 2019 Nordica Enforcer 100 Ski Review by Thom . 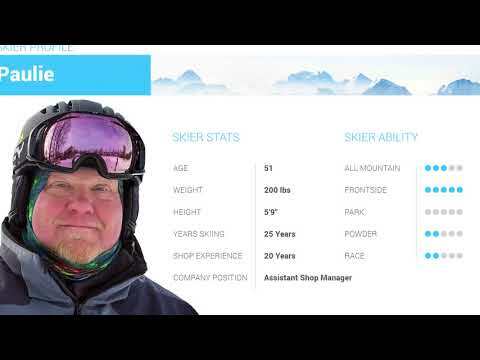 2019 Nordica Enforcer 100 Ski Review by Paul . 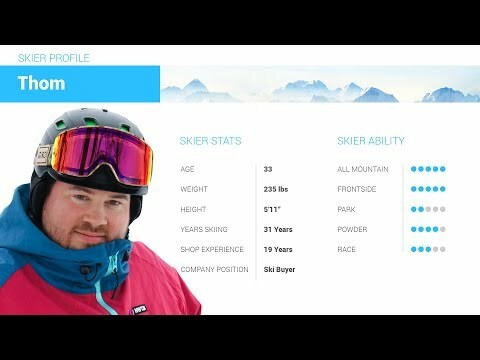 2019 Nordica Enforcer 100 Ski Review by Adam. 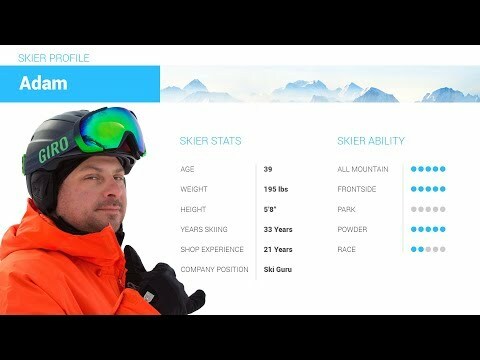 Q: I'm an advanced skier, 56 yrs. old, 210 lbs, 6', what size do you recommend? 177 0r 185? A: At your weight, ability, and height the 185cm length would be best for you. A: The recommended bindings are the Tyrolia Attack2 13, Look SPX 12, Salomon STH WTR 13, Marker Griffon with a brake size between 100-110mm. You can also click on the shop compatible gear button to quickly select a binding and ski bag. We can only install bindings if boots are purchased with the skis and bindings. The actual boot is required for proper installation, adjustment and release testing. Please understand that this is a precaution we take for the safety of the user.